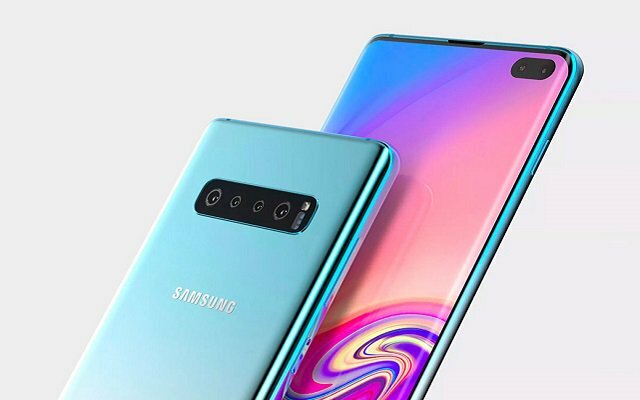 The Tech Giant, Samsung is all ready to launch the Highly Anticipated Galaxy S10 Series at their Unpacked Event. Samsung S10 Series will include regular S10, S10 Plus, and S10 Lite and S10E. A few days back the official renders of the upcoming handset, Samsung Galaxy S10E also got leaked. They unveiled some of the specs of the upcoming phone as well. 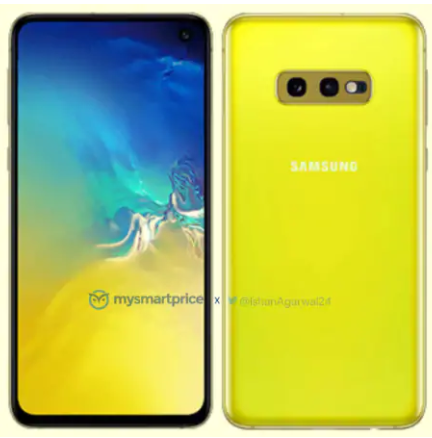 Recently, the Galaxy S10E Canary Yellow Render showed up. According to the latest reports, the upcoming handset, Galaxy S10E will feature a 5.8 Inches Super AMOLED Screen. The handset will be protected by Corning Gorilla Glass 6. The phone will be powered by 3000mAh battery that will keep its lights on. In addition to that, the phone will come with 6GB RAM and 128GB of Built-in Storage. It will sport Exynos 9820 chipset. According to the picture posted above, the phone will sport a metallic frame. There will be the Infinity-O Display at the front with a Canary Yellow glossy back panel. There will be a dual rear camera setup sitting horizontally. Moreover, it’ll have a dual camera setup with 12 MP, f/1.5-2.4, 26mm (wide) + 12 MP, f/2.4, 52mm (telephoto) and a single selfie camera of 8MP. Moreover, the Samsung logo will be sitting in the center. The fingerprint scanner will be present at the right edge. On the other hand, the volume buttons and dedicated Bixby button will be on the left edge of the phone. Galaxy S10E Color Options inlcude Black, Green, White and Yellow. Furthermore, the Phone will see the light at the Galaxy Unpacked Event. If you want to know more about the phone together with our opinion then you are at the right place.